Yellow it is! The colour of a sunflower, to be precise. But you already knew that, didn’t you? A little sunshine hidden in a flower, a happy emotion, a smiley face on a yellow circle with rays drawn by a child – these are all associations that match perfectly with the sun that’s related to sunflowers. And how can they not be? These flowers resemble the sun so closely that they even have to turn to its warmth and light during the day and sleep at night when their ruler is gone, as if they are bound to serve to it with some kind of an invisible string. Every time sunflowers wake up at dawn they greet you heartily to make your day. And as yellow is the hue that’s supposed to bring you boundless joy, sunflowers can be and are the Sunflowers – in a box or a vasesymbol of it. Flower Shops, with its gifted floral arrangers, is ready to give you a helping hand when deciding what you want your bouquet of these flowers to look like. It’s mistakenly believed that this type of flower can only be big and strong with a rough and tall stem. In fact, there are smaller versions of it as well, but the huge ones are most popular. This certainly doesn’t mean that they can’t look magnificent once placed in a bouquet. They might overwhelm it a bit, but that’s not their fault – sunflowers are just meant to stand out, especially with the blindingly bright shade they’re tinted in. They are children of the sun and as such, they have to get the attention they deserve. A quick flower delivery using the services of our company is what you may consider when ordering sunflowers for somebody that’s particularly fond of them for a special occasion or just like that – out of kind feelings. It’s not even necessary for sunflowers to be the favourite flower of someone in order to give them as an unexpected gift with a certain meaning implied. As we mentioned above, joy is what the yellow colour carries in itself, and that’s why giving sunflowers can only bring happy feelings and delightful emotions, which together can brighten up the busy daily grind. Now is the time to learn some facts about these statuesque flowers. Sunflower seeds are used for the making of cooking oil. Originating from the Sunflowers DeliveryAmerican continents, sunflowers were imported to Europe in the 16th century. It’s also believed that as a symbol of fidelity, they are a great present for your third wedding anniversary. They’ve inspired Van Gogh to capture a moment with them placed in a vase for future generations to see both his talent and their grandeur. Durability is a quality that sunflowers definitely possess. Being so long lasting means they are a desirable home decoration that can be enjoyed for quite some time. They might not be scented but that can absolutely be compensated by their appearance. It’s not the fragrance that draws people to them; it’s simply the overall picture of the way they jump out when placed next to any background. It’s true that they don’t come in a variety of hues, but seen in a different perspective, that’s what makes them so special. Being one of a kind is a unique thing, indeed. 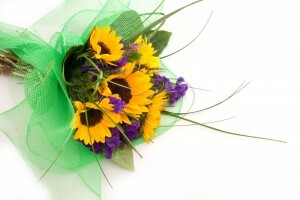 Sunflowers are always in the role of a base of a bouquet, and everything else is arranged around them. But you’ll be surprised how many different options you can have to choose from if Flower Shops is your flower delivery company of your choice. 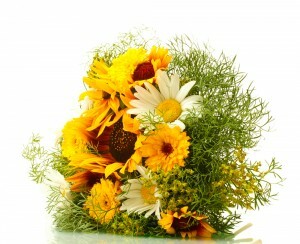 Here’s our phone number – ‎020 3900 2440, which you should keep in mind for all your flower delivery needs.